Wellington is hosting the first ever NZF-Futsal Girls and Women’s Tournament this weekend to be held at the new ASB Sports Centre in Kilbirnie. The tournament is an exciting milestone for women’s football in New Zealand where eight teams from around the country are competing to be the first NZ Women’s Futsal champions. The purpose-built ASB Sports Centre in Wellington offers world-class facilities ideal for Futsal, Basketball, Netball, Volleyball and other indoor sporting activities. 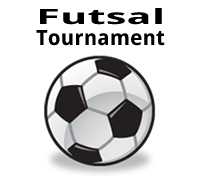 Futsal is a fast growing sport in New Zealand with strong interest in the major cities; Christchurch, Wellington and Auckland. Rongotai Apartments provides sports teams and spectators unique self contained accommodation in Wellington close to the new ASB Sports Centre. In fact, our Serviced Apartments are located a stone’s throw from Kilbirnie Pool, Kilbirnie Recreation Centre and the Kilbirnie Shopping Centre too. Take a look at the action packed schedule of games at the two-day NZF-Futsal Girls and Women’s Tournament. If you haven’t seen the new sports centre yet, get down to Cobham Park in Kilbirnie and check it out!